Bryn Mawr Rehab takes a creative approach to therapy. The medical rehabilitation program is designed to have patients in therapy a minimum of three hours a day for five out of seven days a week. 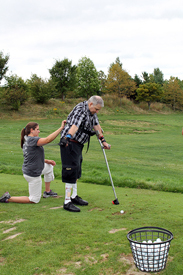 Patients enrolled in the medical rehabilitation program at Bryn Mawr Rehab Hospital can either be inpatients in the early stages of recovery or outpatients who continue to make meaningful progress toward their recovery goals. Due to the wide range of diagnoses in this program, there is no typical patient recovery time. In fact, there’s no such thing as a typical patient. Outpatient medical rehabilitation services are available at any of our outpatient locations throughout the Philadelphia area. For the best results possible, we allow and encourage family members to actively participate in the rehabilitation process. This can be a great support for the patient, as well as an ideal chance for family to get the education and training they may need for life after Bryn Mawr Rehab Hospital.